I am in Istanbul, Turkey where we (3 Palestinians plus 17 others from many countries) attended a workshop exploring development of curricula on nonviolent or popular resistance. The examples used include Eastern Europe, South Africa, Latin America, Palestine and elsewhere. It was a very useful opportunity to network and reflect on our common human struggles and strategize as to how to advance the causes of justice around the globe. The country is very beautiful, grand mosques and grand parks, good food, and friendly down to earth people. Many Arabs are here on vacations. Mosques are busy. The city is bustling. Everyone who finds out we are Palestinian is happy to see us. 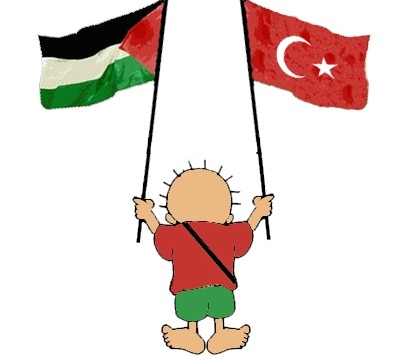 I can see why Turkish people mobilized the humanitarian aid ships to break the illegal siege on Gaza. Today, we crossed from the European part of Istanbul to the Asian side of the same city. This is truly at the crossroad of Europe and Asia. I believe letting Turkey join the European Union and insisting on respect for human rights in all the countries bordering the Mediterranean (starting with Israel), would be in the best interest of Europe and Asia. While here, the usual mix of bad and good news are received. In bad news, the Israeli occupied US congress is trying to pass a resolution that will give the green light to Israel to attack Iran! Meanwhile there is no resolution to condemn Israel for ethnically cleansing yet another village (to add to the hundreds of Palestinian villages depopulated in the past 62 years. Wikeleaks published on its cite thousands of classified documents on Afghanistan showing that US and NATO forces and intelligence community know this war is not winnable. The war now its 9th year claims more lives and treasures. The documents validated my long-held belief that unless the US and Europe shed the policies that created fundamentalism, fundamentalism will continue to grow. These policies include a) the unconditional support of Israeli violations of human rights and International law, b) the support of ‘friendly’ dictators that are keeping their own societies in misery (while claiming verbally to support human rights and International Law). In good news, the legal case for Al-Walaja moved in a positive direction as the court decided to reopen the case and ask the Israeli government to rethink why, if the wall is for security purposes, why can’t ot be built on the Green line. The Court also rejected a settler petition to include all Al-Walaja behin the wall on the so called ‘Israeli side’. (Article in Arabic on Al-Walaja decision ). In other good news, Bishop Munib Younan was elected president of the Lutheran World Federation. ACTION: Help the legal struggles in different countries against Israeli war crimes and crimes against humanity. i hope this link works,the land of palistine is not jewish land,altough the jew and arab lived peacefully together.the bedouin are 155.000 in total.in this recent atrocity,200 were or are children.these children if they survive will never forget nor forgive.WOULD YOU.